James Nowlan was a member of the 12 Regiment. He was possibly present at the storming of the Eureka Stockade. As an invalid (PRO3718) Nowlan returned to England from Hobart in January 1858. 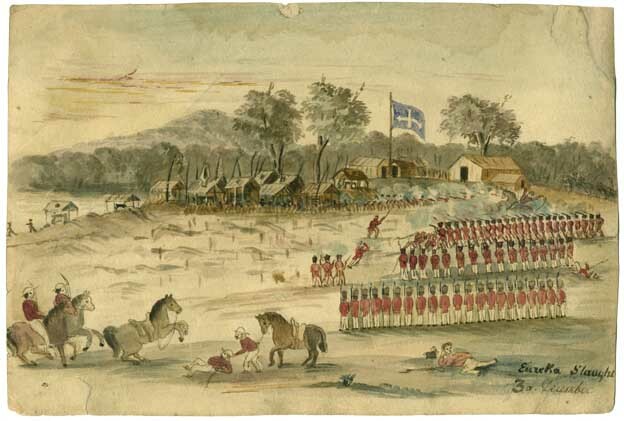 ↑ http://www.ballaratgenealogy.org.au/art/12th_regt_list.htm, accessed 02 November 2013. This page was last edited on 6 August 2017, at 10:42.